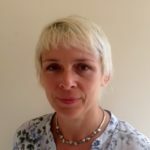 "I would like to say thank you to Sue for her inspiration in getting the tenants motivated to increase their activities. The taster sessions were very acceptable and we hope to have more in the future"
"We have appreciated what Sue has done; we could not have done what we have without her. We would like to carry on with her to help us set up more events. 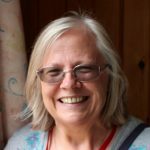 Nothing has been too much for her, Sue has helped with everything"
The festival group are currently looking for community groups, activities and performers to get involved in organising the annual summer festival. This event usually takes place on Richmond Parade and we would like anyone who is interested in getting involved to get in touch. This project started from an idea a local resident had from feedback from the community about having something held local for children and parents/guardians. The now chair was supported to fundraise £1000 to set up a film club and purchase an entertainment license as well as fully kitting out the kitchen for all the necessary equipment needed to hold a community café for parents alongside the film club for children. The local community in Kingswood and Milner flats and around the area have been trying for a long time to get the play park in between the flats redeveloped/upgraded for the local children and users of the Puffin Community Nursery. This project was headed up by Groundworks and a few local groups made contributions to the funding pot to get match funding from Veolia. It is with huge happiness that the project was agreed and signed off by the council to go ahead and April 2015 will see the redevelopment of the space with the design that the community, council and Puffin Community Nursery worked collaboratively to get exactly what they want. We look forward to seeing the final space at the launch event late April/ beginning of May. 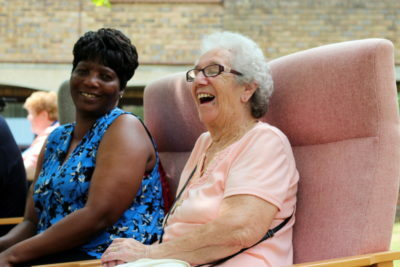 Support is given to the following sheltered schemes to look at ways of maximising use of their communal areas and to encourage participation in social activities. 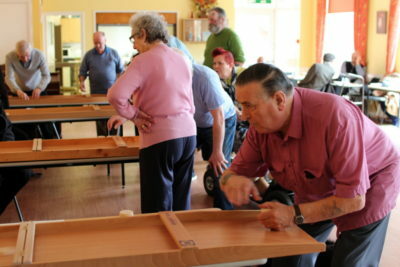 Social Clubs at Sloane Court (BHCC) and Evelyn Glennie (Anchor) have been supported to apply for funding to increase what they offer to their residents. At Evelyn Glennie Court they have started a weekly gentle exercise class which is attended by an average of 12 people per session. The Social Club at Sloane Court are linking with Leech Court and using their communal lounge to host entertainment, tea afternoons, quizzes and a supper club. Lavender House have embarked on a gardening project to grow vegetables. Black and Minority Ethnic Young People’s Project – BME Youth ClubEarly Childhood Project – Healthy Children, Healthy Families, Healthy Community! 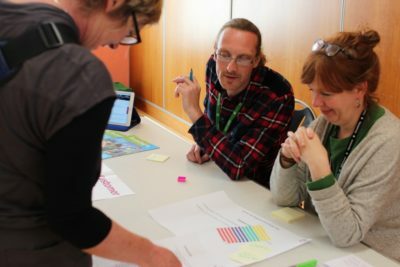 Millwood Centre Management Committee – Getting Connected!